A skin-perfecting base complete with buffing brush, this is the key to flawless ‘airbrushed’ skin. Perfectly portable, this effortlessly blurs the visibility of imperfection with medium-to-full, buildable coverage – just click the base to load the brush and blend over complexion to achieve a satin, photo-ready canvas. A thing of beauty and a pleasure to use, Surratt’s Surreal Skin Foundation Wand instantly elevates your skin to otherworldly levels of perfection. Available in fifteen shades to complement all skin tones, this virtually melts into complexions – blending seamlessly to unify uneven tone and disguise blemishes with a weightless, flexible veil of coverage. The antibacterial brush is angled to hug facial contours, while the oil-free long-wear fluid glides on and diffuses beautifully to grant a hyper-real, ‘your skin but better’ finish. It’s quick, convenient and covetable – perfect for facilitating make up touch-ups on the move. 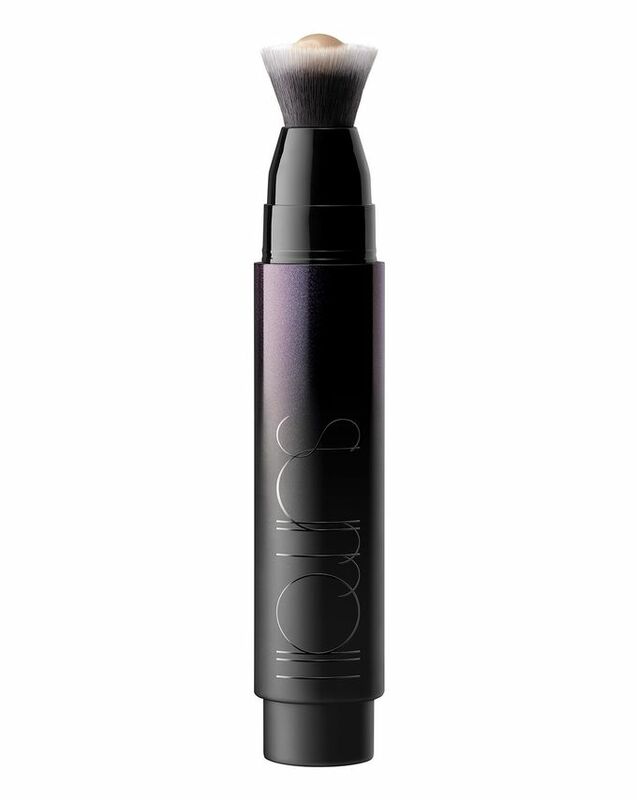 Prime the foundation wand by clicking the button until you see foundation appear in the brush. Beginning at the center of the face, where discoloration most often occurs, blend onto forehead, nose, and chin. Brush outwardly with short, feathery strokes. Layer on this buildable formula in areas that may need additional coverage. Replace the cap carefully to keep brush from splaying. For lasting wear, set the foundation with the Surrat’s award-winning Diaphane Loose Powder in Matte or Éclatant (sold separately). Align the long side of the brush tip with the inside bottom wall of the cap, then carefully scoop the hairs into the cap before snapping closed. For top performance, shampoo the brush with gentle soap once a month. As for the coverage, its a great light coverage product and great for everyday use (which I use as such). It's practical to carry, but since the brush is included directly in the wand, it's hard to clean without losing a little product. And since you'd likely want to use it regularly, for bacteria purposes cleaning is a must because you have to keep the cap on it. It would be nice it the brush end was removable (screwed on perhaps). (I'd up the star one or maybe two just for that.) I purchased n° 10, and I'm NC40-42 (ish, but more neutral, less orange), Kevyn Aucoin SX10, YSL BD60, Urban Decay 6.0, if this can help anyone else, since it's difficult when you can't test these products in a store.